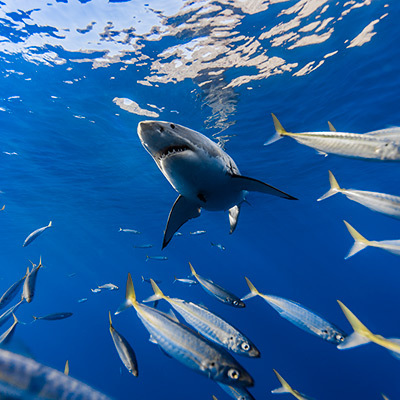 A male great white shark (Carcharodon carcharias), nicknamed "The Russian," rises toward the surface from the depths below. 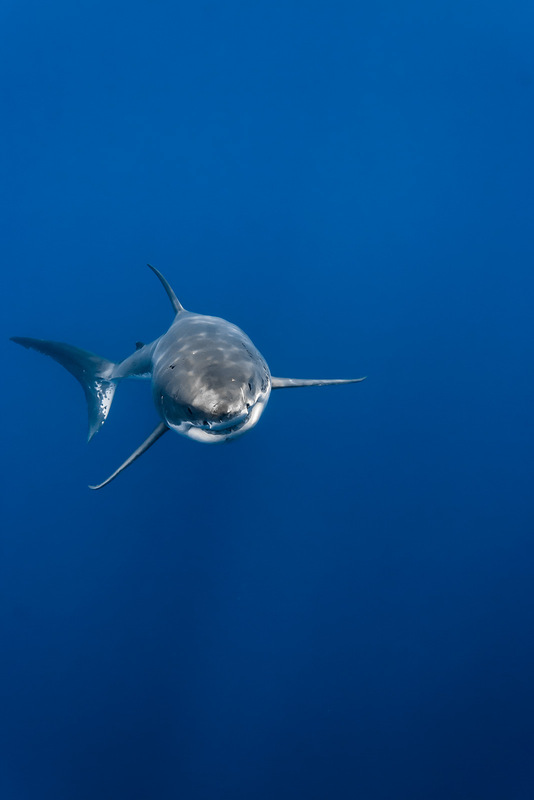 When viewed from above, the white shark’s darker color on the upper-side of its body helps provide camouflage against the back drop of the dark depths. 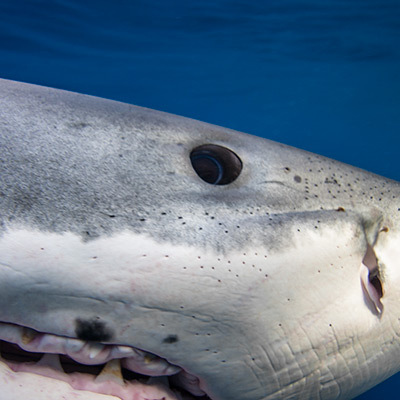 White sharks are ambush predators and rely on stealth when attacking larger prey from below.